I don't know about you, but last Monday was a little bit hard for me. It is hard for me to picture Jesus shriveling a tree that wasn't producing fruit in the right season. How often do I tell myself that with two children under 4 this often isn't the season for me to bearing much fruit besides two kids? As much as I've talked about God's Holy Sovereignty ... and He is ... He is not lessened by His Grace and Healing. There is no hope for the one who will spit in His face ... but He knows we are but human. 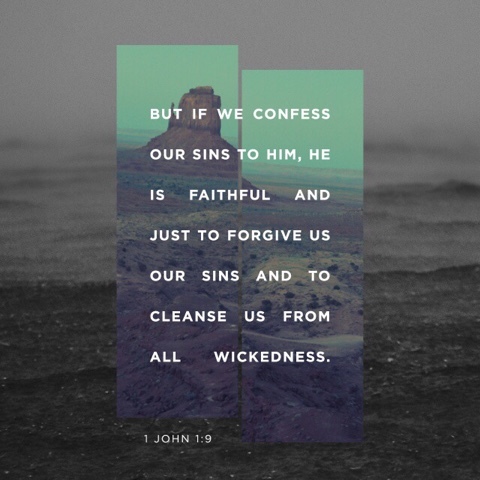 He accepts the sacrifices of a contrite, broken, humble heart. This isn't a hyssop plant - it is some mint family relative though, and grows behind our house ... its always what I picture when I read "hyssop." 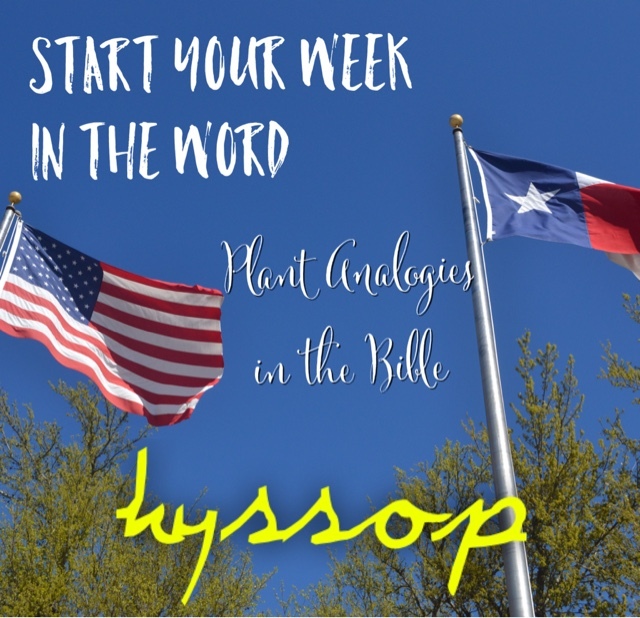 Hyssop is mentioned numerous times throughout the Bible as a cleansing agent. 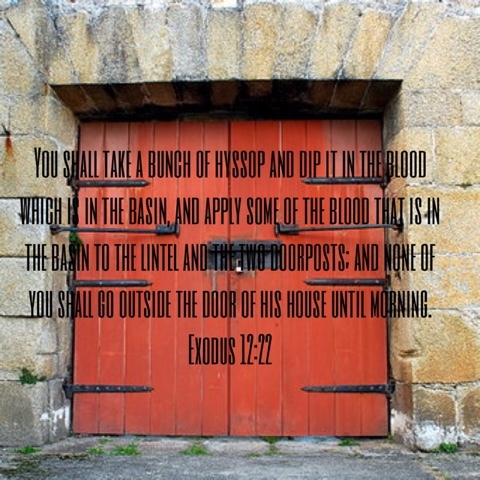 It was used in several ancient Israeli ceremonies ... for example Passover ... a branch of hyssop was indicated as the proper tool for painting the doorways with the lamb's blood. And this might make you do a double take ... the sour wine Jesus refused on the cross? It was offered to Him, the Lamb of God, our sacrificial lamb once and for all ... on a branch of hyssop. Did you get goosebumps? It was also used for ceremonial cleansing in Levitical law. Even today, if you look at a bottle of hyssop essential oil in the grocery store it indicates uses for healing and cleansing. When I turned to Psalms last week, hyssop jumped out of the scripture at me as David poured out his heart to God asking Him to cleanse him of his wickedness. If we are alive and breathing, there is always hope for restitution. God is jealous and sometimes angry ... but so many times in the Bible all it takes is a prophet's prayer, Moses begging for mercy on behalf of an estimated TWO MILLION or more crazy (trust me this is the pot calling the kettle black ... but wait till Thursday ... they're all crazy) humans to extinguish God's anger and bring about His healing. And that's why I chose two flags and to bring up hyssop on this 4th of July. I know many are beginning to give up hope on the United States. Revelation doesn't mention a country that appears to be the United States ... why not just give up? Because our country is still alive and breathing. 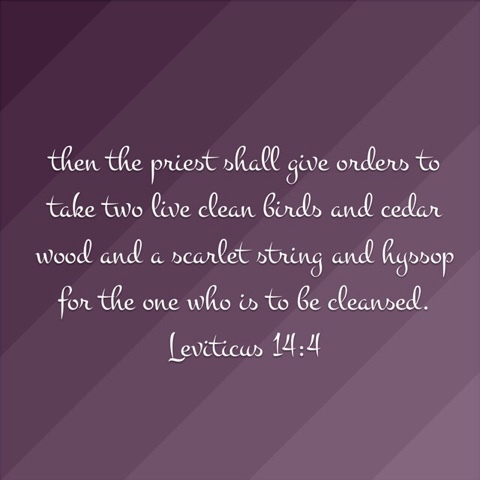 We can still be cleansed. I still have hope for our country to return to what it wants to deny it was founded on ... God's Word. I won't stop praying for this country to be washed white as snow ... to stand up for what is right like it started out doing and stop worrying about stepping on toes. Cleanse us with hyssop Lord ... don't turn let your anger burn against a country that can still serve you and glorify Your name.